In early May, Vladimir Cupic will join "Atlantic" group at the position of the head of branch office for Serbia, Atlantic Group announced. Vladimir Cupic will, at this position, be responsible for relations with governmental institutions, non-governmental organizations, international organizations and other institutions, professional and expert organizations as well as relations with investment community in cooperation with business fields and other support functions within "Atlantic Group". Vladimir Cupic is coming to "Atlantic Group" from the position of the Management Board at AIK Bank Nis, which he has been performing since mid 2013. 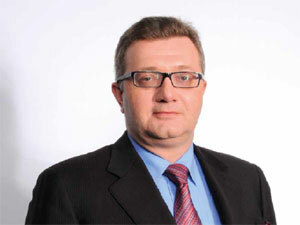 Before that, since 2006, he was the head at Hypo Alpe Adria Bank Beograd, where he was a management board member since 2003. His experience comprises managing the Agency for privatization of the Republic of Serbia and a career at the Ministry of economy at the position of an adviser to the minister.. Since 1997-2001, he worked in a consulting company, "Deloitte&Touche". He has been active in organizations such as NALED (National Alliance for Local Economic Development), Serbian Chamber of Commerce, American Chamber of Commerce in Serbia, the Association of banks of Serbia, Serbian economic association, Business Council of SEE, Serbian club Privrednik. Vladimir graduated economy at the Faculty of Economics in Belgrade and he obtained his expertise in numerous programs in the country and abroad.